Imagine our current economic crisis as a family crisis. Let’s say the young adult child maxes out her credit card and cannot get out from under the debt. Imagine a parent willing to bail the kid out. Give her a fresh start. If that parent did so without placing any penalty or consequences on the child, and never added a repayment requirement, this would be the stuff of reality show dressing-down. Any of us now knows, there are no bad children or dogs, simply bad parents and bad owners who must assert authority in appropriate ways. Children, dogs and bankers need that kind of discipline. Better Still…imagine you have a dog that’s acting out. In the case of our economic crisis; we’ve had LOTS of Dogs acting out, for too long. No one has established alpha status to rein in the bad behavior. All the other dogs are behaving just as badly as they see they can get away with. 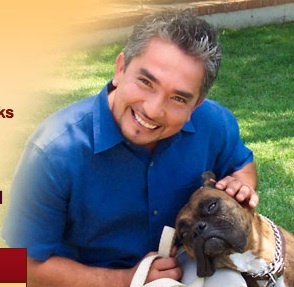 Bring in that hair-dresser turned dog-whisperer, Cesar Millan to smack some sense into those jerks on Capitol Hill. Actually, Cesar is firm without physical punishment. In Cesar’s opinion, no one should ever hit or yell at a dog to correct unwanted behavior. You see how that works: Action: consequence. Gift: repayment. Pretty neat and tidy, eh? This is a perfectly rational solution to the crisis we are in and it seems to me that no one in our emergency-session congress is raising this as a requirement for a bailout at taxpayer expense. They’re just looking to get their mug on the evening news and make some election-year hay out of our future which hangs in the balance. There’s even a precedent for the repayment contingency plan. Read here about how the Swedes handled a similar debacle in their economy. Though changing some behaviors can appear to happen in a relatively short period of time, none of those changes will “stick” unless the human (authority) acts consistently with his or her dog (Wall Street firm, actually dog works, too) every day to keep unwanted behaviors from returning. We are giving the bad dogs on top of Wall Street permission to piss all over our living room rug, bite the mailman, whatever. We have let them act badly without consequence every day for years. Somehow, we believe if we bail them out now, they and their successors will magically alter their bad (and personally profitable) behavior out of the goodness of their hearts? Cesar would never stand for it. Cesar Millan ’08. His Veep could be a scary nanny. Yeah, that’s the ticket. Maybe they should do what I did this morning and actually raid the kid’s accounts for some cash. They seem to be the only ones in my house with liquidity. Kid’s piggy banks would not be safe here, either! Thanks for stopping by. It’s all about training the people not the dogs!